After being dropped by WWE, Kenzo surprisingly ended up in Mexico rather than returning to his native Japan. Ultimo Dragon appears to have been the conduit to bring him into CMLL, where Kenzo worked as a upper level evil foreign rudo, teaming with Marco Corleone early on. Kenzo picked up the Aguila Imperial nickname, as partner to Aguila Italiana Marco. Kenzo jumped to AAA, where he was a top solider in Konnan's Foreign Legion army. 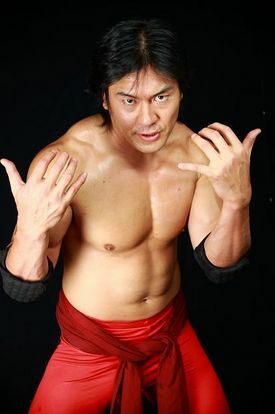 Kenzo took the loss in a Legion/AAA cage match in 2007. Kenzo's sometimes goofy antics fit in well in Triple A, and the promotion even had a Mini Kenzo Suzuki for a while. After the Foreign Legion fell, Kenzo started a new stable called La Yakuza with fellow Japanese wrestler Sugi San and El Oriental. This page was last edited on 16 May 2018, at 13:50.